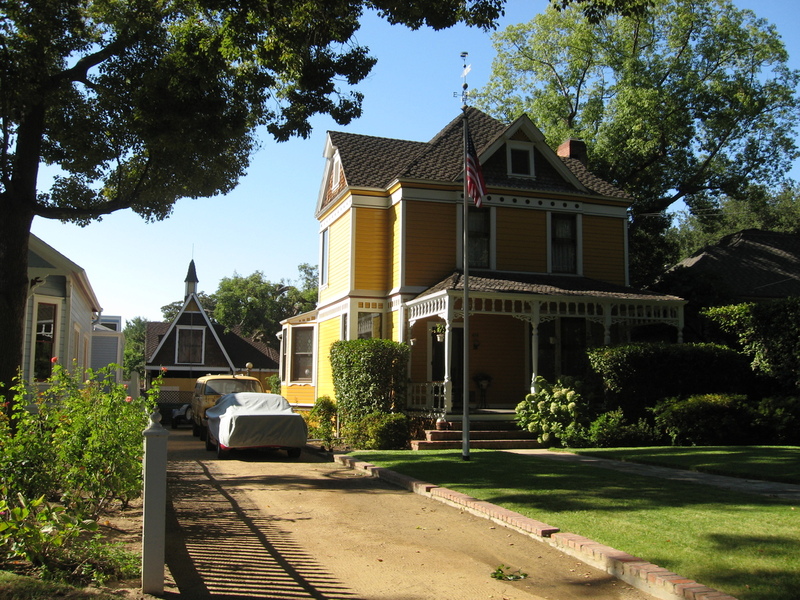 This week, I saw an article on Curbed LA about some very old houses for sale in the Los Angeles area. And it turned out that a few of them were not far from here, so that was the theme for this Sunday’s bike club ride. I made a route to go by and see three of the old houses. The route was basically a big loop around the San Gabriel Valley. 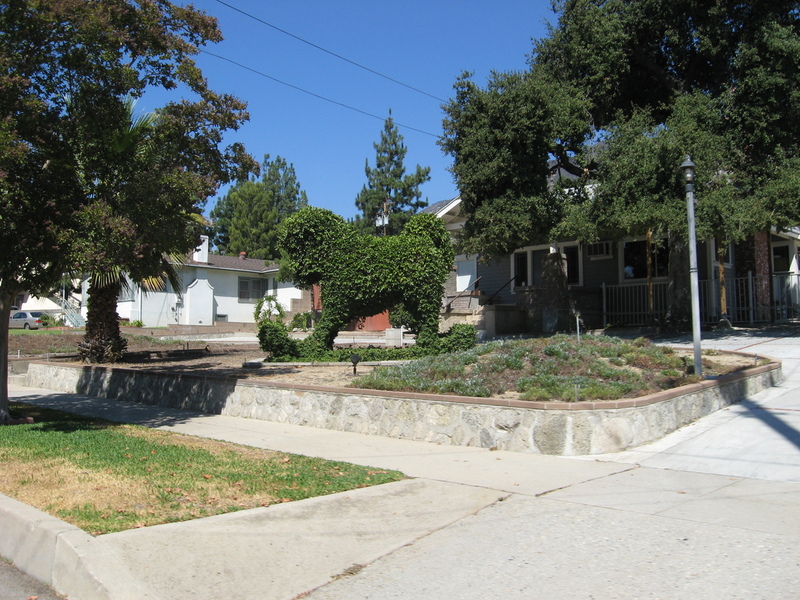 We started out heading up to Altadena, where we saw the first house. This one didn’t have a name. 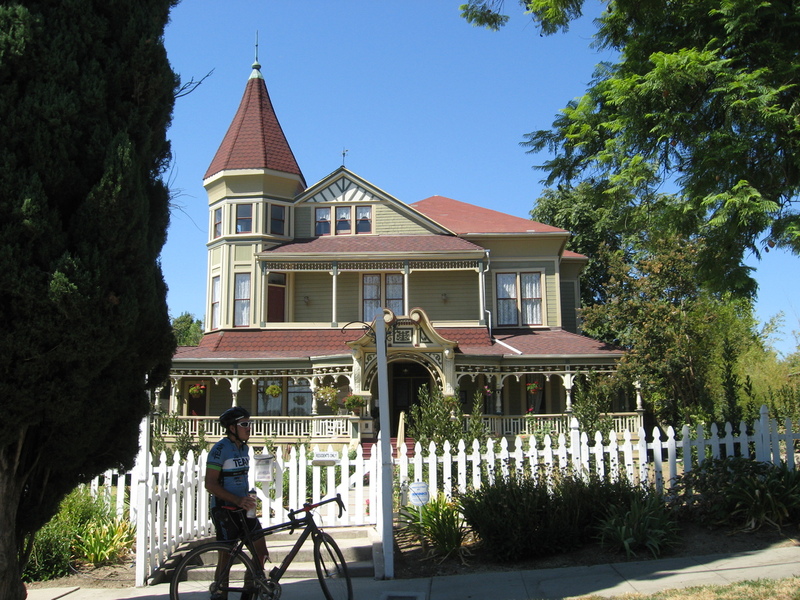 The article said it was built in 1891, which made it the newest of the three we were going to see. 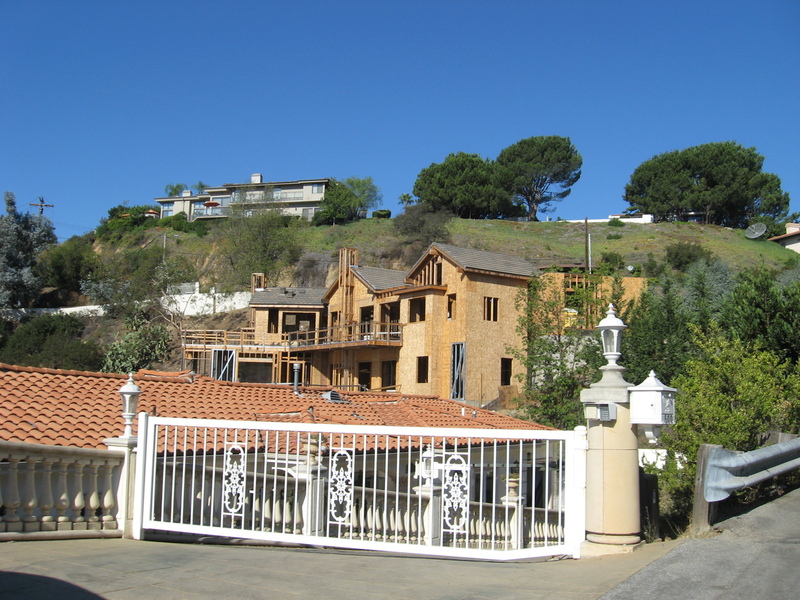 After that, we continued on up into La Cañada, where we rode up St Katherine Drive to the top of the big hill. We didn’t really need to ride up and over that hill. It was purely gratuitous. But it did give us a chance to see the half-built house at the top that has been sitting half-built for several years. This time, it looks like it has some new wood, so maybe somebody’s going to finish building it. Heading back down the hill, we rode down Orange Grove to the mansion district below Colorado. 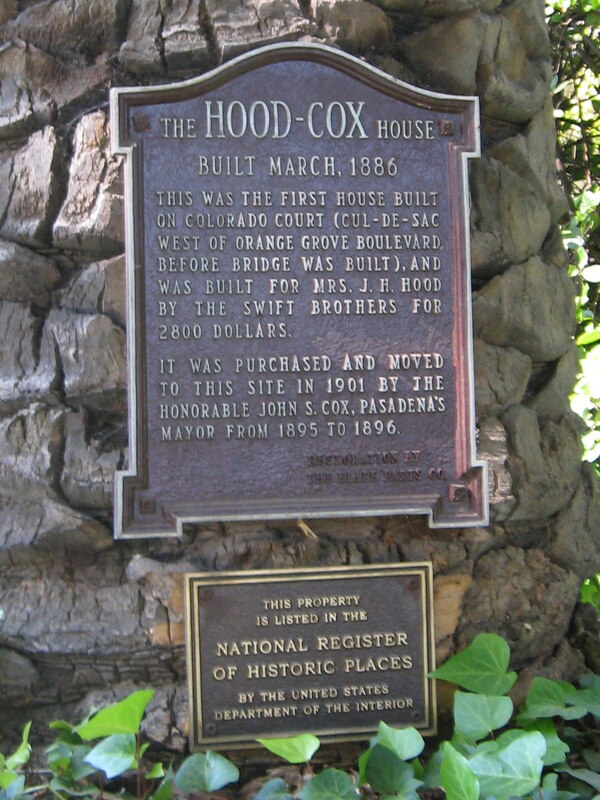 That was where we saw the Hood-Cox House, which was the oldest of the three, having been built in 1886. 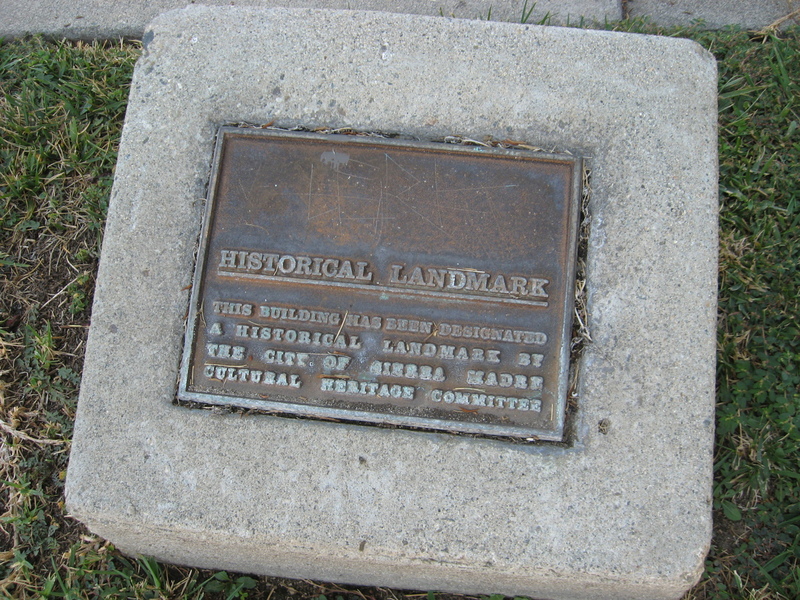 It had a little plaque about it on one of the trees in the front yard. After that, we rode down into South Pasadena, where we stopped for snacks at Union Bakery. Then we headed east, out to Monrovia. This was also purely gratuitous. It was just extra distance to make the route come out to 40 miles. At one point, we ran into a closed bit of road due to construction on the Metro Gold Line extension in Monrovia. But we found a little temporary sidewalk that they’d built for pedestrians to get around the closure, and that was good enough for us to ride through. On the way home, we went through Sierra Madre. 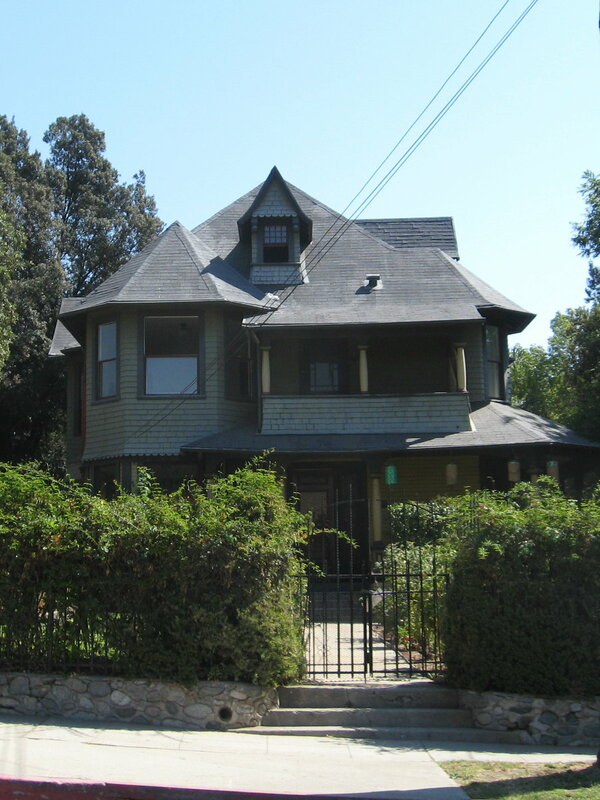 We went all the way up to Grandview Ave, since we were going to see the 1888 Pinney House, which was just off of Grandview. After riding up that hill, I remember why we go up there so rarely. Nobody wants to climb that hill at the end of a ride. But we did it today, just so we could stop and see the ornate house. From there, it was all downhill to get home. Which was good. It was pretty hot, and we’d ridden up several large hills. But it was interesting to see the old houses. There aren’t many buildings that old around here. So it was a nice ride.